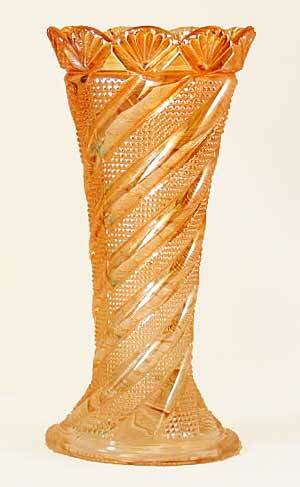 These 6-inch tall vases have distinct spirals of alternating smooth ribs and fine diamonds. Small fan shapes circle the top. I'm only aware of them in marigold. Some attribute it to McKee.